This superb dessert is the finest Plum Pudding we've ever tasted! 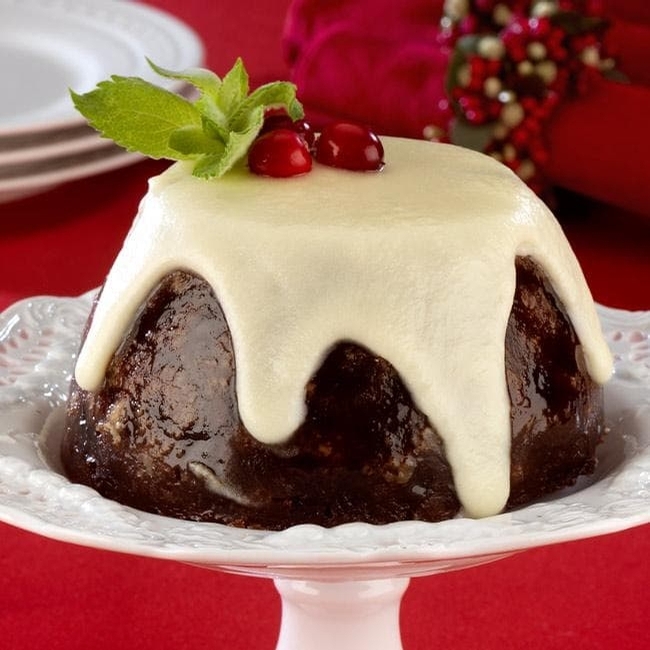 Imported from England, where this holiday favorite originated, it's chock full of currants, raisins and citrus peel. Just spoon the incomparable Hard Sauce over the top to create 8 generous servings. Includes 1 lb. Pudding and a jar of Hard Sauce.